Britz Darwin branch is located near the airport, and features a great outdoor area for you to relax before or after your campervan trip. 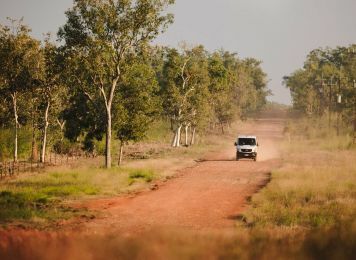 Book your motorhome, 4WD and campervan hire in Darwin with Britz today, and start exploring the Northern Territory. Nested along the Timor Sea, Darwin is the capital city of the Northern Territory. 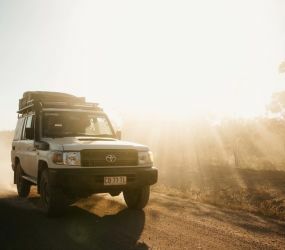 Begin your roadtrip out of Darwin via the Stuart Highway, which is the direct road south to Adelaide, passing through Alice Springs in the centre of the country. A sealed road all the way, the itinerary is suitable for all types of vehicle, from massive RVs and motorhomes to regular cars and campervans. 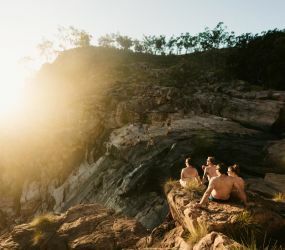 If you explore Darwin city & surrounds, you’ll find plenty of natural wonders, like the immense Kakadu National Park, listed as a World Heritage location, filled with spectacular waterfalls, vegetation and wildlife. Located 2 hours’ drive from Darwin, the park has several areas to park your campervan hire. Complimentary transfers are not available from the airport/city to the branch. However all are accessible by bus or taxi. 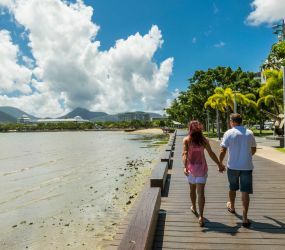 A $100 AUD surcharge will apply to all rentals picking up and/or dropping off on Good Friday (19 April 2019), Easter Monday (21 April 2019), ANZAC Day (25 April), May Day (6 May 2019), Queen's Birthday (10 June 2019), Darwin Show Day (26 July 2019) and Picnic Day (5 August 2019). A one-way fee of AU$250 will apply for Darwin (pick up) to Darwin (drop off) travel.